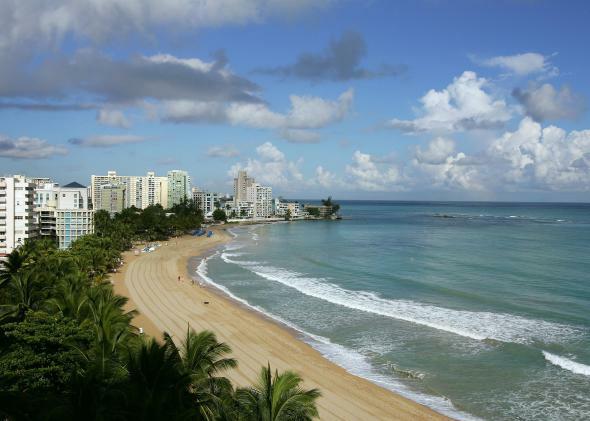 Drought in Puerto Rico: It's much worse than California. Life’s not a beach in Puerto Rico right now. John Morales, a Miami-based meteorologist who provides weather forecasting services for the Caribbean, said Puerto Rico’s government could actually be underestimating the seriousness of the problem. The island’s dwindling reservoirs are so silted up from bygone years of intense tropical downpours they’re not able to store as much water as the government thinks they can. California’s drought is bad, but not this bad. For one thing, drinking water rationing would be unthinkable in California. In the limited areas of California that have run out of drinking water, domestic wells ran dry due to overuse by neighboring farmers—not due to a lack of total supply. Thanks to unimaginably ambitious public works projects in the past, California still has enough total water supply, it’s just not being allocated efficiently. Due to years of neglect, Puerto Rico is heading into this drought without much wiggle room. For the Caribbean, water availability is at the center of an uncertain future—made worse by climate change and a precarious economic dependence on tourism. And in the shorter term, with a building El Niño threatening continued dry conditions across Central America and the Caribbean, the next several months don’t provide much hope for a turnaround in terms of rainfall. There is one possible longer-term solution that’s gaining steam: insurance. The G7 recently highlighted a novel extreme weather-based insurance scheme in the Caribbean as an option to scale up assistance to hundreds of millions of people on the front lines of climate change. Right now, when disasters hit, most of the world’s poor are pretty much on their own. Under the Caribbean scheme, that risk is shared among countries—participants receive cash payouts in bad years to soften the blow of any single extreme event. But the Caribbean plan doesn’t currently cover drought—money can’t buy water if there isn’t any to begin with.